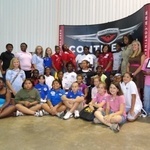 Mobile, AL - No Limits Aviation Program 2011 - Aviation Adventures, Inc. The birth of Aviation Adventures, Inc. was in 2011 at the terminus of the Air Race Classic in Mobile, AL. 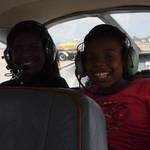 A whole community came together to teach 56 girls about aviation and to open their world to possibilities about which they had never before dreamed. The program won the Boys & Girls Club National Award of Excellence for Education & Career Development in 2012.